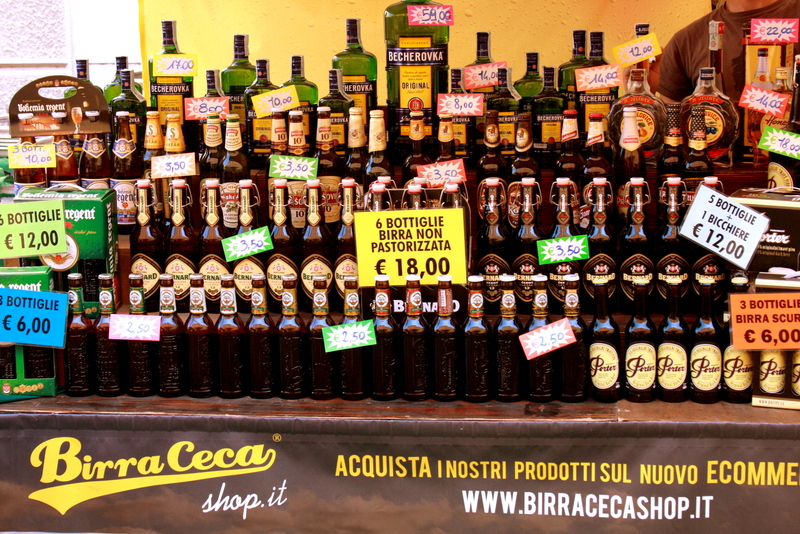 I love the concept of street food markets. I don’t think there’s a better way to taste all kinds of food from all over the world in just one extended meal. Eating on a street is a casual affair – but sharing a table with total strangers, eating from plastic plates using plastic cutlery that is totally useless to cut any decent piece of meat is actually quite fun. Come hungry – Ok, this one is easy. The hungrier you are, the more food you are able to taste. Chances are that you will become hungry anyway once you catch a whiff of all the grilling, roasting, sizzling and cooking around you. But still, if you are able to grab only one dish this is an opportunity wasted. Take your time – This is essential because you will need to browse through the complete offer first, before deciding on your meal. You don’t want to grab the first burger you come across, only to find even tastier chicken satays grilling just around the corner, right? An idea I am often tempted by but haven’t actually tried it yet is to start off with lunch and extend it over dinner. But I guess you would need to be extremely hungry to do that. Have someone to share your food with – I don’t share my food. Street food markets are the only exception from this rule and the reason is quite simple: I usually can’t decide between all the curries, asados, paellas, noodles, crepes and other delicious dishes. Then, and only then, I am willing to share my plate because this way I can try more of the food on offer. Sladolent, Maribor (Slovenia) – This is an annual street food festival, taking place during the Lent Festival in Maribor end of June beginning of July each year. Every evening three different prominent Slovenian chefs take the stage preparing their own version of street food dishes. This is haute cuisine served on the street. Two years ago I was able to experience it from “backstage” as I was accompanying the famous “3 Chefs” as part of a project I was working on at my previous job. Damn, it was a fine job! Odprta kuhna, Ljubljana (Slovenia) – I bet the productivity in companies in downtown Ljubljana drops considerably every Friday as this is “Odprta kuhna” day. Beginning end of April and ending some time in autumn (I hope not too soon) this street food market attracts big crowds of people hanging out over tasty dishes and drinks, starting their weekend the best possible way. For me, this is the best restaurant in Ljubljana serving everything from Egyptian to traditional Slovenian cuisine. But somehow I always end up eating ramala roti which I finish off with some fig and banana organic ice cream covered in a thick layer of chocolate. Opernplatzfest, Frankfurt (Germany) – This year I was lucky enough to be in Frankfurt just in time for this open air culinary festival taking place in front of the magnificent backdrop of the old Frankfurt opera house. It’s a crowded place and it seems as if all the bankers in their fancy suits head here for their after work drink. I was there with my work colleague, a passionate foodie like me, so it’s not surprising we ate there twice, both time making it an exquisite meal. 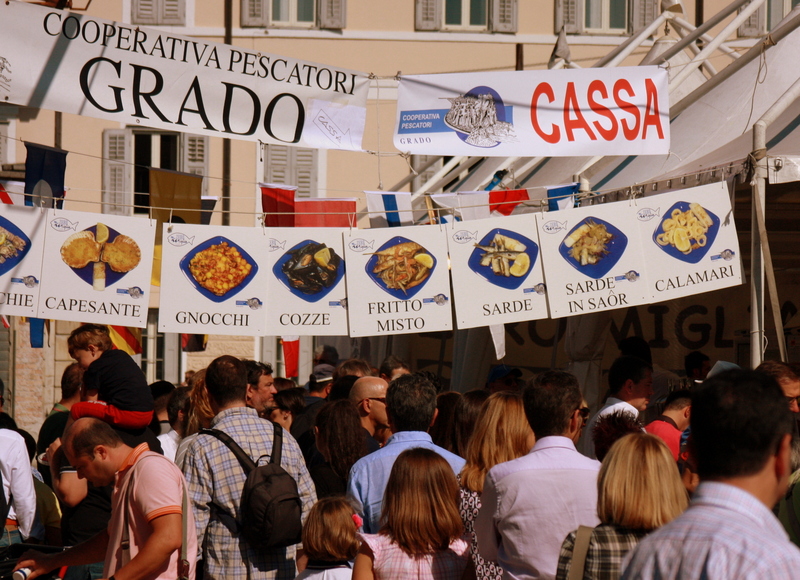 Gusti di frontiera, Gorizia (Italy) – This massive street festival is my latest discovery. Restaurateurs, winemakers and food producers from Italy, Slovenia, Austria and several other European countries gather here end of September to offer their delicacies to huge crowds of people. Over 100,000 visitors were recorded on a single day last year. 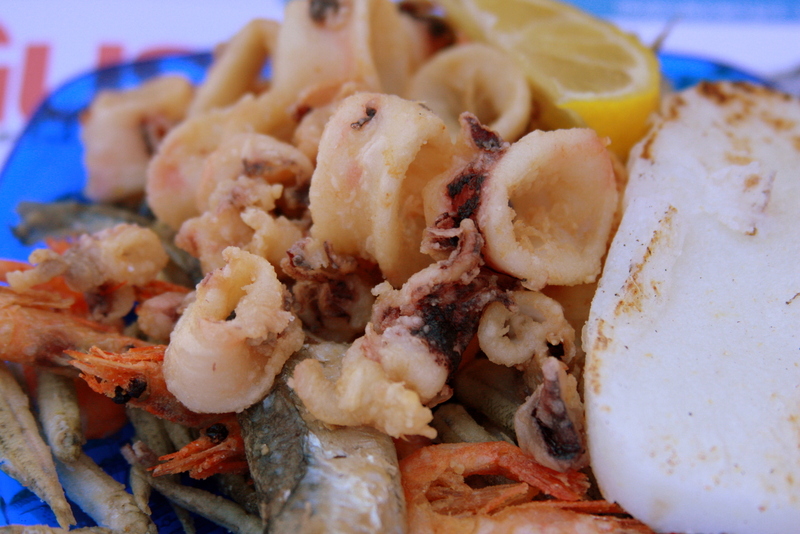 There’s plenty of seafood, grilled meat, excellent wines and beers from all over Europe. 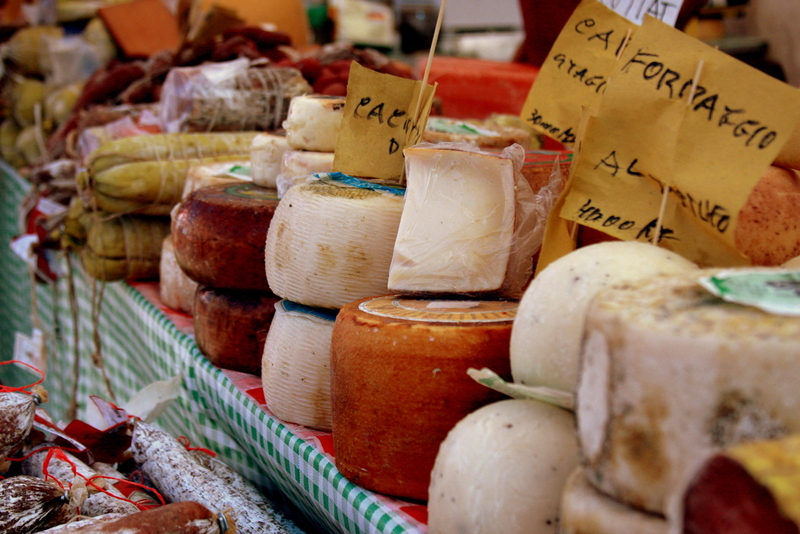 And you can buy all kinds of cheeses, salami, olives and other tasty treats to bring back home.